Biotech is back, baby! After a rough 2018, the biopharmaceutical industry has regained momentum. Key drug pipeline candidates failed in clinical trials last year, driving down the entire sector. But investor sentiment has turned positive, as junior biotechs pursue promising areas of research. In the month of January, the benchmark SPDR S&P Biotech ETF (XBI) generated a return of more than 14.4%, compared to a return of 6.3% for the SPDR S&P 500 ETF (SPY). The biotechnology sector should continue to enjoy tailwinds in 2019. 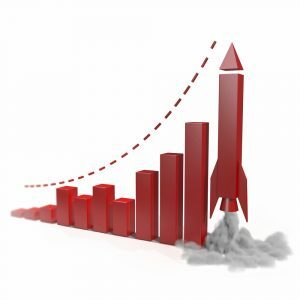 Biotech stocks are enticing because they can confer enormous gains in a short amount of time. They have an uncanny tendency to immediately skyrocket on positive earnings or regulatory events. But it’s a two-edged sword. These stocks also entail greater risk, because negative news such as a failed drug trial can cause a biotech’s shares to tank. Therein lies the challenge: How can investors get ahead of the curve, to anticipate when a positive event will trigger momentum? 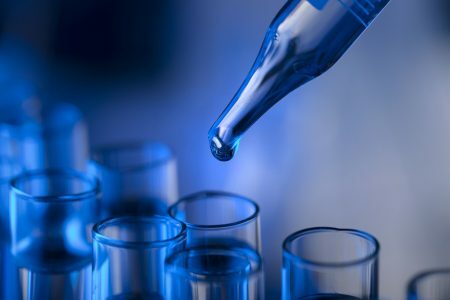 In this article, I spotlight a biotech that’s positioned for significant upward trajectory: Arena Pharmaceuticals (NSDQ: ARNA). Arena is a $2.2 billion market cap developer of novel drug treatments. The stock has been on a tear lately and many analysts are bullish on the company. But first, a big caveat: the company has multiple drugs in clinical trials but only one in the marketplace, via a royalty arrangement. That makes Arena speculative. Does Arena strike the right balance between risk and reward? Or is the stock simply too risky? Below, I examine the company’s pros and cons and assess the stock’s prospects in 2019. As drug patents expire, the pressure for drug companies to find untapped opportunities is fierce, compelling biotechs such as Arena to pursue novel treatments for rare diseases. Based in San Diego with 160 full-time employees, Arena Pharmaceuticals has several novel drugs in various stages of development. Founded in 1997, the company has one drug on the market, Belviq (lorcaserin), a weight-loss medication. The U.S. Food and Drug Administration (FDA) approved lorcaserin in June 2012. In 2017, Arena sold Belviq to its Japanese partner, Eisai Co. Ltd., which manufactures and markets the drug. Arena draws a royalty on global sales. After striking the deal with Eisai, Arena reconfigured its research and development (R&D) efforts to focus on discovering drugs that act on G protein-coupled receptors. These receptors play key roles in the regulation of the human immune system. Research in how they work and help the body fight diseases is revolutionizing the creation of new drugs. These treatments are called immunotherapy, which is a hot scientific area. Immunotherapy allows the body to fight diseases by itself, supplanting the need for conventional therapies that can be costly, painful and ultimately ineffective. Arena’s Ralinepag is in Phase III trials to treat pulmonary arterial hypertension (PAH). Etrasimod is in Phase II trials for treating immune and inflammatory conditions, with a primary focus on ulcerative colitis and hepatic conditions. A drug with no name yet other than APD371 is in Phase II trials for the treatment of pain associated with Crohn’s Disease. PAH often occurs in association with lung and cardiac disease. Underlying causes usually involve congenital heart disorders, coronary artery disorder, blood clots, or high blood pressure. PAH is typically seen in people over 60 years old, although it can onset at 45. PAH constitutes 15-50 cases per million in the U.S., which earns the FDA’s classification of “rare.” But being rare doesn’t make treatment unprofitable. According to Grand View Research, the U.S. market for treating PAH currently generates $7 billion in annual sales, with sales expected to hit almost $9 billion by 2025. Grand View pegs the ulcerative colitis market as hitting $7.5 billion in annual sales by 2023. The Crohn’s Disease market is estimated to be near $10 billion. Phase I: Determines whether the drug is safe. Phase I studies of a new drug are usually the first that involve human beings. The objective is to determine the highest dose of the new treatment that can be given safely without serious side effects. Although the treatment has been tested in lab conditions and on animals, the side effects in people can be unpredictable. Phase II: Tests the efficacy of a drug or device. This can last from months to two years, and use several hundred patients. These are double-blind randomized trials where one group of patients receives the experimental drug, while a control group is provided a placebo, and neither the patients nor the researchers know who has received the drug. Consequent;y, the test is totally unbiased. Roughly 30% of drugs make it past this stage. Phase III: These studies are also randomized and double-blind, but use several hundred to several thousand patients and can last several years. This is a thorough test of the drug as well as side effects and problems. Roughly 70% of drugs complete this phase. Phase IV: Occurs after the FDA has approved the drug. This phase involves thousands of participants and can last many years. This is the true test of a drug, because it’s being tested in the real world. How Has Arena Stock Performed? What Is Arena’s Stock History? Over the past 12 months ARNA shares have gained 22.8% whereas the S&P 500 has lost 4.2% (see chart). Over the past two years, ARNA shares have gained 212.7% whereas the S&P 500 has gained 16.7%. Over the past five years, ARNA shares have lost 23.3% whereas the S&P 500 has gained 50.4%. How Has Arena Performed in 2017/2018? In 2017, ARNA shares gained 131% whereas the S&P 500 gained 19%. In 2018, ARNA shares gained 7.5% whereas the S&P 500 lost 6.8%. With a market cap of $120.7 billion, AbbVie develops and markets innovative therapies. Humira is perhaps its best known drug, which is used to treat autoimmune diseases. Major products include Imbruvica, an oral therapy to treat leukemia; Viekira Pak, which treats chronic hepatitis C; Kaletra, used with other anti-HIV medications to maintain viral suppression in HIV patients; and many other drugs. Chicago-based AbbVie is the result of a spinoff launched by Abbott Laboratories in January 2013. With a market cap of $128.1 billion, Abbott Laboratories is one of the world’s largest producers of prescription drugs, diagnostic tests and vision care products. Based in Abbott Park, Illinois, Abbott Laboratories offers a wide range of medical devices and diagnostic tests used worldwide by doctor’s offices, hospitals, laboratories, and blood banks to diagnose, monitor and treat diseases such as cancer, HIV, hepatitis, heart failure and metabolic disorders. Based in Kenilworth, New Jersey, Merck is a leader in producing anti-cancer medicines and therapies. A standout drug for Merck is Keytruda, for the treatment of patients with recurrent or metastatic cancer. Merck (market cap: $193.5 billion) operates in four segments: Pharmaceutical, Animal Health, Healthcare Services, and Alliances. The company offers treatments for cardiovascular diseases, diabetes, asthma, nasal allergy symptoms, chronic hepatitis C, HIV-1 infection, and other ailments. Merck is well-known for producing such widely advertised medicines as Vytorin (cholesterol) and Fosamax (osteoporosis). In January 2019, Arena and United Therapeutics (NSDQ: UTHR) formally closed on a partnership concerning the worldwide exclusive rights to develop, manufacture, and commercialize Ralinepag. Arena shareholders should be encouraged that United ponied up $800 million for these rights, along with another possible $400 million for regulatory milestone payments. The deal strongly suggests that United (market cap: $5 billion) is confident that the FDA will eventually approve the drug. Arena’s forward price-to-earnings (P/E) ratio is -14.7, which means the company is losing money. But that should change in 2019. Here’s a video interview in which Amit Munshi, president and CEO of Arena Pharmaceuticals, discusses his firm’s strategic plans. Arena remains a speculative investment, at the mercy of the FDA. While United Therapeutics has made a massive payment that demonstrates its faith in the company’s drug candidates, anything can happen during clinical trials. If Arena’s drugs get derailed during clinical trials, which is always a possibility, the stock would plunge. Even the mere rumor of poor results can clobber a biotech’s stock, as we saw in 2018 when several promising Big Pharma drug candidates unexpectedly posted disappointing test performance. If Arena’s deep-pocketed rivals step up the pressure and compete toe-to-toe with its products, this mid-cap player could burn through its cash too quickly. And if only one drug is approved and the others aren’t (again, a possibility), Arena could be disdained by Wall Street as a one-trick pony. I’m bullish on Arena over the long term. I think this mid-cap will prove to be a “rocket stock” that hits the stratosphere once its major products get FDA approval. Arena is well-managed and supported by a team of seasoned researchers and scientists. In the third quarter of 2018, Arena reported total revenue of $3.6 million, an increase of 48% from the same period a year ago. Revenue handily beat the consensus estimate of $1 million. Revenue comprised $3.2 million as royalty revenue and $0.4 million as collaboration revenue. Arena posted a loss of 70 cents per share, narrower than the consensus estimate of a loss of 72 cents but wider than the loss of 61 cents in the same period a year ago. I expect losses to shrink in successive quarters. The company had total cash on hand of $561.6 million, giving it sufficient financial wherewithal to make it through clinical trials. One of Arena’s most attractive features as a stock is its mid-cap status. A mid-cap is a company with a market capitalization between $2 billion and $10 billion. The company is big enough to survive the ups and downs of the volatile biotech market, but small enough to hand investors the outsized capital gains that are difficult for mature pharmaceutical titans to achieve. Billionaire super investor Warren Buffett once said: “Risk comes from not knowing what you’re doing.” Arena isn’t as safe as its blue-chip rivals, but its management seems to know what they’re doing. A smaller biotechnology stock like Arena has more risk than, say, a large-cap biotech like Merck, but the upside potential is far greater. With leading-edge drug treatments in development, Arena should tap long-term growth while its peers struggle with the headwinds of patent expirations, generic drug competition, and government cost-containment. Arena Pharmaceuticals may prove volatile over the short term, but patient shareholders are likely to be rewarded.